CDT introduces HD-6MDVC incorporating a new parametric blend in an affordable package that puts deep, sweet bass in home or vehicle locations simply and easily. 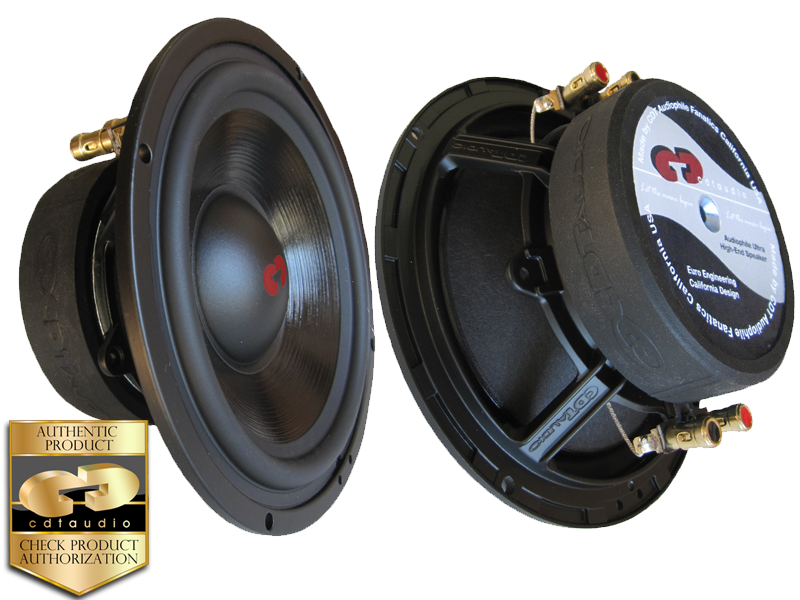 Suitable for enclosed or free air use in your vehicle, these drivers provide full, rich, extended bass below 2 (ported) also simply mounted in a panel or deck with or without a sub enclosure. The air load is provided mechanically in the suspension or may be augmented with a back load by sub enclosure. If you’re listening tastes are for reasonable levels in smaller spaces these drivers provide optimum value and minimized installation cost. Why pay for performance and high installation costs if you do not need the high SPL? Designed and built to deliver accurate and natural clean deep bass performance never heard before from a 6.7" driver.